a wide variety of quality horses. Bay mare born the 03/05/10, 1,71m, by Diamant de Semilly and Azalée de Mai II by Muguet du Manoir. 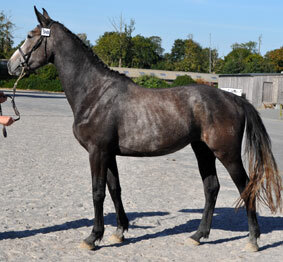 Bay mare born in 2011, by Quick Star x Dollar du Murier. 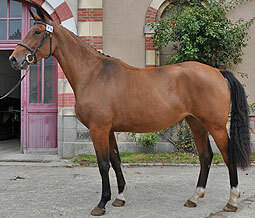 Her grand-dam, Quenotte du Chemin by St Brendan (ps), was a great broodmare who also produced the stallions Flamenco deSemilly and Vraitot, but also the international showjumper Iroise de Semilly, all full brothers and sister of Ebene de Semilly. 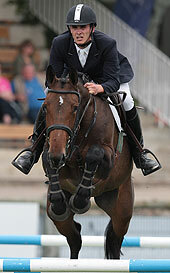 Her dam, Etoupe II, is herself a great showjumping winner, ISO161. She has been sacred Champion of France at 5 YO and also at 6 YO after having seriously injured in a truck accident at 4 YO. She leaves a memorable souvenir in the French show jumping world ! She comes from a wonderful SF bloodline which has produced many great showjumpers like : Cabri du Hequet ISO 150, Dorsay ISO 147 IESO, Grain de Soleil ISO 158, Gypsy du Chanu ISO 150, Alpha D ISO 161, Peluche du Banney ISO 156 IESO, Nade de l'amplière ISO 153, ... On the third generation, we found back the wellknown Kavala from whom comes the Thurin's bloodline ! 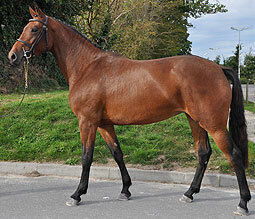 Her grand-dam, Oriele de la Mare was French Champion of the 6 YO. 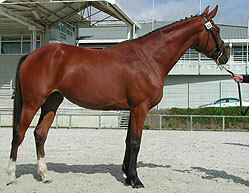 Boogie Woogie is also the sister of the SF stallion Rock'N Roll Semilly CSIO5*. 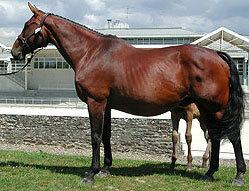 Her dam, Lorina de Semilly is the filly of Normandy Night, international GP and Puissances winner. 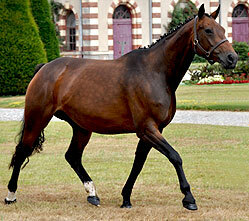 Lorina is also the sister of the SF stallion Kalaska de Semilly (CSIO5*, WEG, OG). The mother of Coconut Semilly, Tahiti Semilly, is the full sister of the SF stallion Noowanda Semilly and Odyssee Semilly and the 3/4 sister of Kirios de Semilly, all three in CSI. 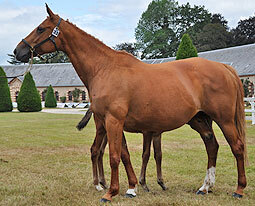 Her grand-dam, Fidji de Semilly, is also the sister of Tati du Palis, herself mother of Jaffna de Semilly CSI and the SF stallions Miami de Semilly, Top Gun Semilly and Andiamo Semilly. The crossing of two World Champions ! Dark Bay, born in 1996, 1,71m (17,0h). Mare, Bay, born in 1997, 1,68m (16,3h), ISO 165.
by Dollar du Murier and Tati du Palis by Muguet du Manoir. 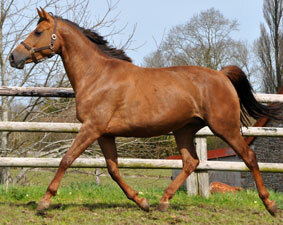 She is the sister of the stallions Miami de Semilly and Top Gun Semilly. Jaffna competed successfully at international level, ISO 165. The first offspring of Jaffna by embryo transfer, Right Now Semilly, is Champion of the 4 YO at the Inter-Regional Show in Le Lion d'Angers 2009. Her dam, Volodia III is also the mother of Dolovia de la Sapaie ISO 154, Fantasia de la Sapaie ISO 132, Norton de la Sapaie ISO 159, ... 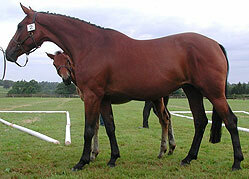 The full brother of her grand-mother, Ascot, was also an excellent showjumper ISO 156. Julia is the mother of Tam Tam Semilly, by Diamant de Semilly, who was ranked 3rd of the 3YO stallions show of Verguigneul 2010. 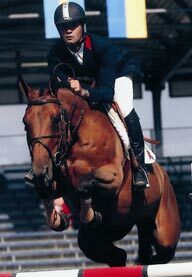 Chestnut, born in 1999, 1,69m (16,3h). Lorina won Saint-Lô broodmares championships in 2010. 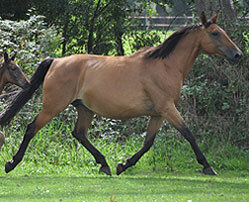 Bay, born in 2000, 1,71 m (17,0h). Her mother, Quiva de la Cense, has also produced Boetie ISO 145, Flore Pierreville ISO 130, ... It's also the damline of Gibus Varfeuil ISO 155, Mariol Varfeuil ISO 145, Perle de Félines ISO 141, ... and her 5th dam is Girondine, the mother of the famous sire Almé ! 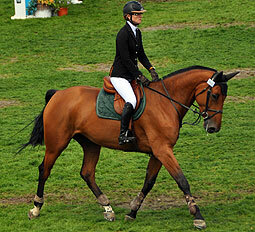 Manon Pierreville has produced Utopia Semilly, 5th of the French Championships of the amators 5 YO 2013 ! Bay, born in 2000, 1,70 m (16,3h). 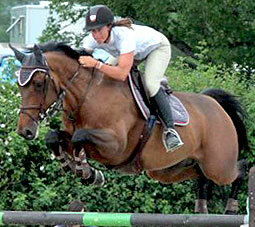 Her full sister, Maeva de Semilly, jumped at GP level and has been well indexed ISO145. Her mother, Flower de Semilly, who jumped in CSI is a filly of the great Ultimee du Chemin who jumped in CSIO and has also produced Feline de Semilly ISO 142 and the national stallion Funchal de Semilly ISO 153. 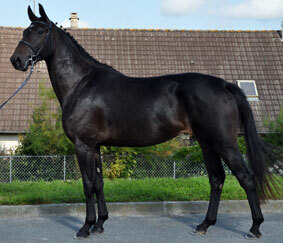 Dark bay, born in 2000, 1,69 m (16,3h). Champion of the young broodmares in Saint-Lô 2006. Mare, Bay, born in 2001, 1,67m (16,2h). 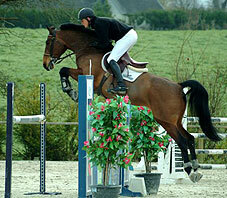 Mare, Bay, born in 2002, 1,66m (16,2h). 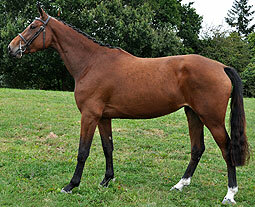 Her dam, Ile de See Milly, is a filly of Revangika, the sister of Krishna, great international showjumping winner. She represents one of the best SF norman bloodline. Oceane was placed in 1,40m Grand Prix. ISO 146. Her mother, Tati du Palis, is also the dam of the international showjumper Jaffna de Semilly ISO165 and the SF stallions Miami de Semilly ISO140 and Top Gun Semilly ISO140. 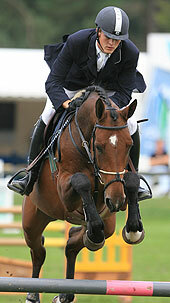 Her mother's sister also produced international showjumpers : the SF stallion Noowanda Semilly in Switzerland, Odyssee Semilly in Italy, Kirios de Semilly in Spain, Philadelphia Semilly ISO 131. 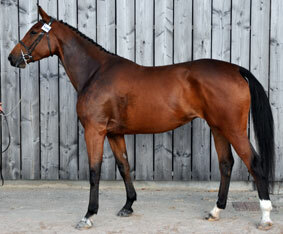 Olympic Girl has been qualified at 4 and 5 YO for the French Championships. 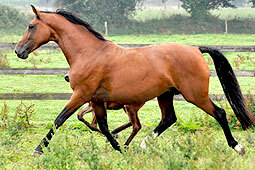 Bay, born in 2003, 1,70m (16,3h). Her dam, Anais du Tot, full sister of Valdy des Vignes (6 YO French Critérium winner, ISO137), has also produced the showjumping winners : Ellena de Semilly ISO144, Kolombo de Semilly ISO144, Ottawane Semilly ISO147, Shamira Semilly ISO142 and then exported to USA and the SF approved stallion Donatello Semilly. 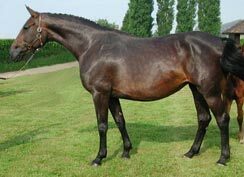 Her grand-dam, Quenotte du Chemin, was an exceptional broodmare who produced the stallions Flamenco deSemilly, Dollar de Semilly and Vraitot also the international showjumper Iroise de Semilly ISO 151. Her full sister, Ebene de Semilly which is also Quetchua's dam, has her first offspring approved as SF stallion : Made In Semilly, CSI**** GP Winner, 6 YO French Champion, ISO 174. Santana is the full sister of the international showjumping stallions Elkintot (JEM Jerez 2002) and Giotto (ISO 161) and the half sister of antoher great international showjumper Iscariote. 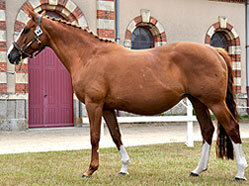 Santana is the Winner of the 3 YO Show in Normandy and then vice-champion of France of the 4 YO mares and "Elite". ISO 122. Sunflower is the half-sister of the international showjumper Jaffna de Semilly and of the SF stallions Miami de Semilly and Top Gun Semilly. Sunflower took part in the 4, 5 and 6 years old classes. 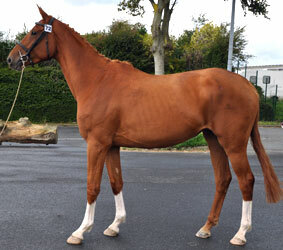 Bay mare, 1,69m, born the 17/05/07, by Quincy and Azalée de Mai II by Muguet du Manoir. Tea Time has participated to 4 and 5 YO classes and was qualified for the French 4YO finals. ISO 121. Bay mare, 1,69m, born in 2007, by Diamant de Semilly and Dody de Chalusse by Galoubet A.
Dody de Chalusse, her mother, is a great international showjumping winner, ISO 162. she comes from the super anglo-arabian blood of Ifrane, herself mother of the Olympic Morgat ISO 177, D'Ifrane Chalusse ISO 169, Ufrane Chalusse ISO 143, ... Damline of Mylord Carthago. 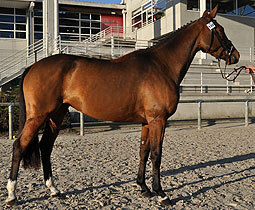 Tutti Frutti jumped at international level and was placed in 1,40m GP. ISO 132. 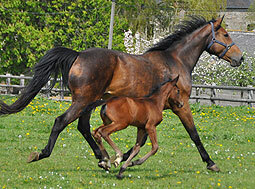 Bay mare born in 2009, 1,72m, by Diamant de Semilly and Melodie de Semilly by Eyken des Fontenis. Venezia did the 4 and 5 YO young horses classes. ISO 120. Vision de Ligny is a filly of the wellknown Wanda, CSIO showjumping mare under the saddle of Ludger Beerbaum and Rodrigo Pessoa. Wanda has also produced the sBs approved stallion : Plutot de Beaufour, by Le Tot de Semilly and the international winner : Quisas Diamant, by Diamant de Semilly. 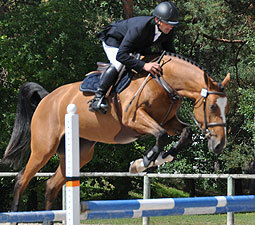 Her dam, Wanda has jumped at the highest level with Ludger Beerbaum and then Rodrigo Pessoa. Among the brothers of Vision, we found back the sBs approved stallion : Plutot de Beaufour, by Le Tot de Semilly and the international winner : Quisas Diamant, by Diamant de Semilly.